If you live north of the Wilson Red Line stop, don't think you're getting a free pass on the construction. 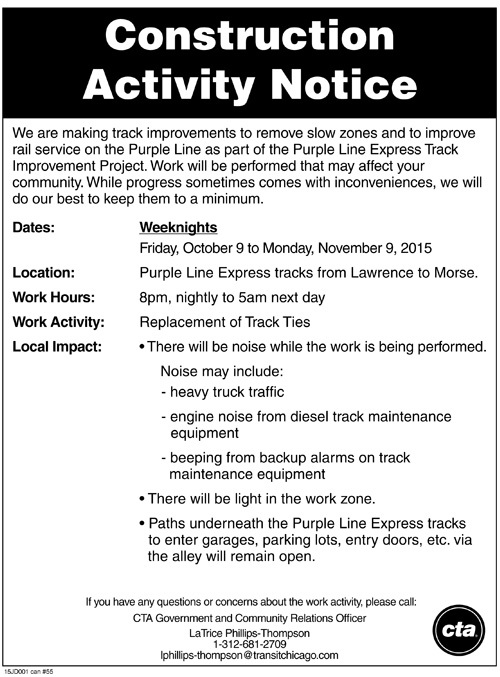 CTA will be doing night work on the Purple Line tracks between Lawrence and Morse. The work will continue Friday night and continue for a month.We're not sure if they'll start at Morse or at Lawrence, so be prepared.